Our new series of posts on Real World English is written by Ed Pegg. Ed teaches the International Business Communication programme at the London School of English, where he provides language and communication training to multi-cultural groups of professionals. 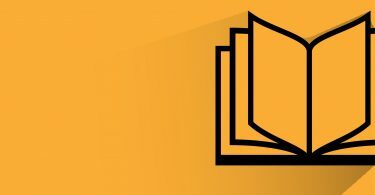 Ed is co-author of the new Starter level of In Company 3.0, a new edition of Macmillan Education’s successful business English course. 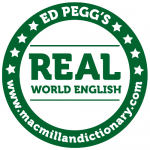 Welcome to Real World English – the third instalment in the Real… series by Macmillan Dictionary. In this series of videos and blog posts we will be looking at how words are used in context around the world and how differences in usage in different countries and cultural contexts can cause misunderstanding. We look at differences between US and British English, some common expressions in other English speaking countries and also give you an understanding of the complex topic of pragmatics – how language is used in context. As English has become the world’s ‘global language’ it has become easier to talk to people all over the world, just use English. However, although English is mostly the same everywhere, local and regional differences can cause problems. These differences can be quite minor, such as whether you fill your tank with petrol or gas and whether you walk on the pavement or the sidewalk. These well-known differences between US and British English don’t cause too many problems, but what if you made a request to your Indian colleague and he promised to ‘do the needful’? You would need to know that this common Indian expression meant ‘do what you request’. And what if you asked directions in Johannesburg and were told to ‘turn right at the robots’? You’d need to know that, in South African English, robots are traffic lights. And then there’s pragmatics, the rules governing politeness and relational meaning in language. If you ask a British person the rules of cricket, they’ll probably reply ‘It’s rather complicated I’m afraid’ but ask an American the rules of baseball and they’ll say ‘it’s really quite simple’. Then they’ll both explain complicated rules that are really quite similar. What’s going on here? In the UK, it’s considered polite to protect people from embarrassment. As you might not understand the rules of cricket, the British person will warn you first in order to try and protect you. A polite American will try to be friendly and welcoming, so Americans will tell you baseball is simple in order to make you feel comfortable. People in the US often get a hard time for this welcoming attitude as many other cultures find it ‘fake’ or ‘superficial’. It’s not, it’s just a different style of politeness. When it comes to pragmatics, there’s no right answer but there are many different ways to express things with very different meanings. Some are better in some situations and in a different situation, another expression is better. We’ll explore these differences throughout this series. So, I hope you will enjoy learning about English in the real world and I look forward to seeing you next time. You can follow my series of monthly blog posts on this topic using the tag realworldenglish.